You are at:Home»Reviews»What is the Best Z-Wave USB Stick? We all know that setting up a complete Home Automation system can be quite expensive. Most people want to test out things first before they spend a big amount of money only to realize later that the gadgets don’t properly work in their environment. You might have noticed the price tags of some devices in our review of the best z wave controllers. Of course, these home automation controllers are a must have if you want to do some serious automation with a wide range of different devices and protocols. Moreover, they provide a huge amount of different functionalities and features that justify the costs. But if you don’t know what home automation protocol to choose yet and want to dive deeper into the intricacies of orchestrating your home – buying a cheap Z-Wave USB adapter might be the perfect option for you. These sticks turn your ordinary pc into a fully customizable Z-Wave controller. You have full control over what it does and when to execute which function. Provided you are at least a bit tech savvy and know some basic coding – but if you are surfing this site chances are high that you are probably a tech enthusiast living the Tony Stark Life. Of course, having the hardware is only one side of the story because you will need some corresponding software, too. One option is to resort to a feature-rich commercial product like the HomeSeer HS3 which starts at a price of $250 for the regular version and $600 for the professional version. But the chances are that you first want to try something inexpensive before spending too much on high-end software and hardware. Luckily there are two open source projects that we recommend to try out with your Z-Wave USB Stick (provided you are going to buy it). A complete home automation software that works with all major protocols and is very similar to the software developed by Homeseer. You can cover a lot of different use cases and create your own scenarios. Moreover, user control interfaces are available for iOS and Android devices as well as a web interface that works with any devices using modern web browsers. A more technical project aimed at people who like to program. It provides C++ wrappers for the Z-Wave protocol and allows for low-level interaction with it. A deeper technical understanding is required compared to OpenRemote. Below you will find a list of short reviews of the best Z-Wave USB sticks based on experiences from other users and forum reviews. As always we begin with the product that it is in our eyes the most complete one and therefore a good candidate for being the best z wave USB stick. Aeotec Z-Stick Gen5 is a huge improvement over previous models while retaining the best qualities that Z-Stick has been known for over the years. Compatible with all the major Z-Wave software systems, including HomeSeer, OpenHab and OpenHab 2 and more, the stick works perfectly right out of the box. Easy and simple to use, Z-Stick Gen5 also supports both Z-Wave and Z-Wave plus. The only minor disadvantage could be backup of the device, as Aeon needs its own tool for backing up. 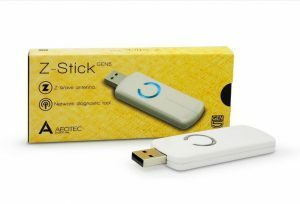 Overall, there is not much you can do wrong in buying the Aeotec Z-Stick to get your feet wet in home automation. 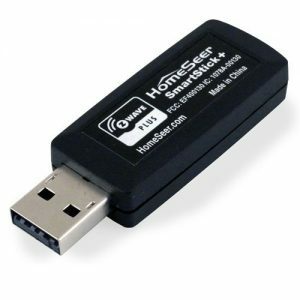 The HomeSeer SmartStick is a perfect purchase for those who want to implement a complete HomeSeer home automation ecosystem in their homes. However, for use outside of the HomeSeer family, it might not be the best choice. Even though it supports most Z-Wave and Z-Wave Plus products, it isn’t compatible with some newer models and Z-wave devices. 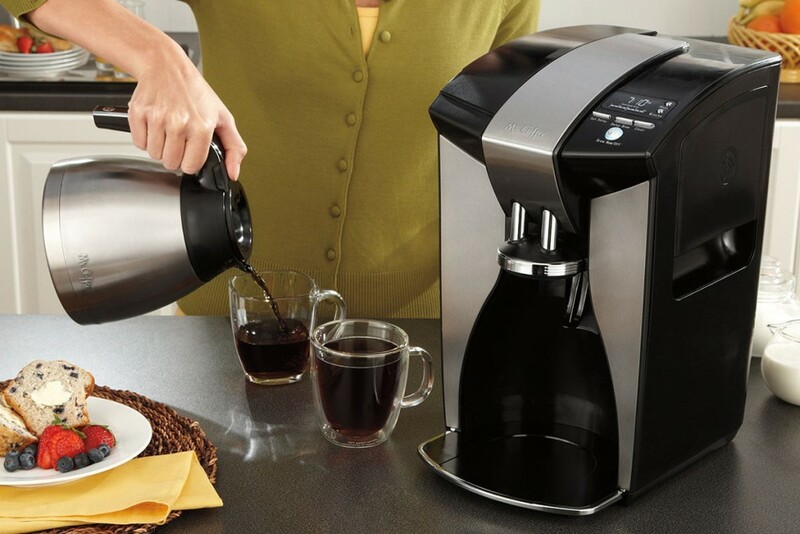 Plus, it is not as user-friendly and doesn’t provide you with any manual configuration options. Please note that there are only 10 items left in stock (via our link) at the time of writing. We contacted HomeSeer, but we haven’t received a response of whether or not the item is discontinued. Not every Z-Wave USB stick is created equally. Take the Linear HUSBZB-1 for example. 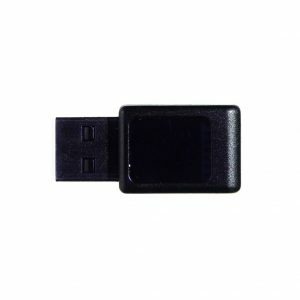 While working with third-party software, rather than focusing solely on Z-Wave, HUSBZB-1 is a USB that helps connect your PC with either Z-Wave or ZigBee. One of the best features of the Linear USB is the fact that it provides out-of-the-box support for Home Assistant, Philips Hue and other third-party home automation software. Of course, it’s compatibility list is not as long as Aeotec Z-Stick Gen5, but it is still worth mentioning. For the most part, this stick will serve you justice for your home automation projects. Especially when combined with a RaspberryPi 3 board, the stick allows you to create some amazing DIY projects. The Z-Wave ZMEEUZBWD USB Smarthome Stick for WD My Cloud is one of those obscure Z-wave enabled devices that you’ll have to play around with to make it work. 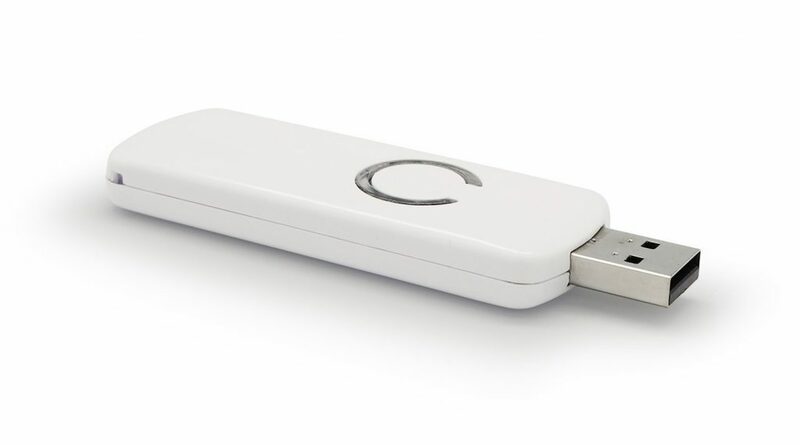 Advertised as a way to turn your WD My Cloud into a smart home gateway, the Z-Wave USB stick can be used for other home automation purposes and DIY projects as well. It is compatible with Windows, Mac and Linux systems and with the following My Cloud™ models: My Cloud™ Expert Series: EX2, EX4, EX2100, EX4100, My Cloud™ Business Series: DL2100, DL4100, and MyCloud™ Mirror, and it doesn’t require an additional purchase of Zway Software License. 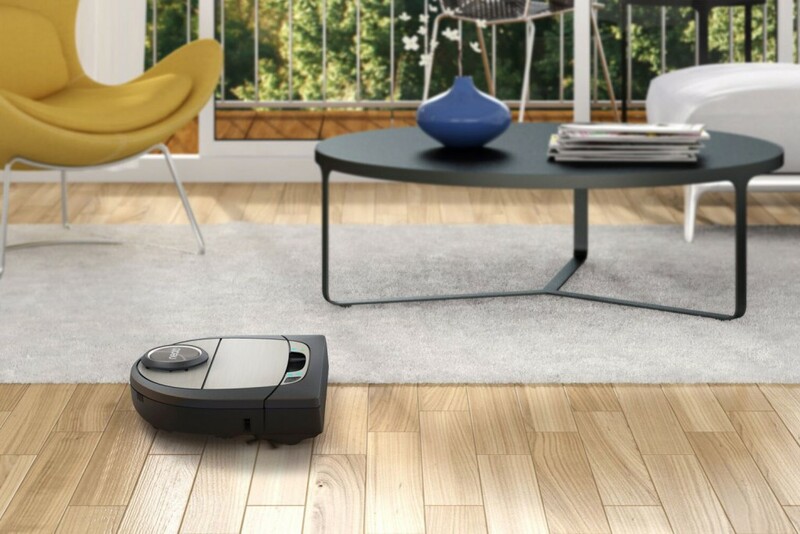 It works “out of the box” with many software, like HomeSeer. December 2018 Edits and Updates: Edit was performed following the current state of the product and comments and suggestions provided by the reader. edits and updates are underlined for easier traceability. October 2018 Update: We’ve changed the article after a review of the latest Z-Wave USB stick models and after taking a look at a few newcomers. I have essentially decided to go with the Z-Stick and OpenRemote. Thank you for your post that has boosted my confidence in that I am making the right descision. Not wanting to buy old hardware now the Z-Stick Generation 5 is out I was wondering if you had had a chance to test it with OpenRemote? do any of these support the new-ish z-wave s2 security standard? 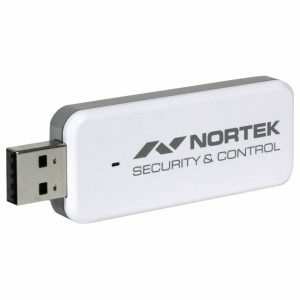 Aeotec Z-Stick Gen5 100% supports S2 security.